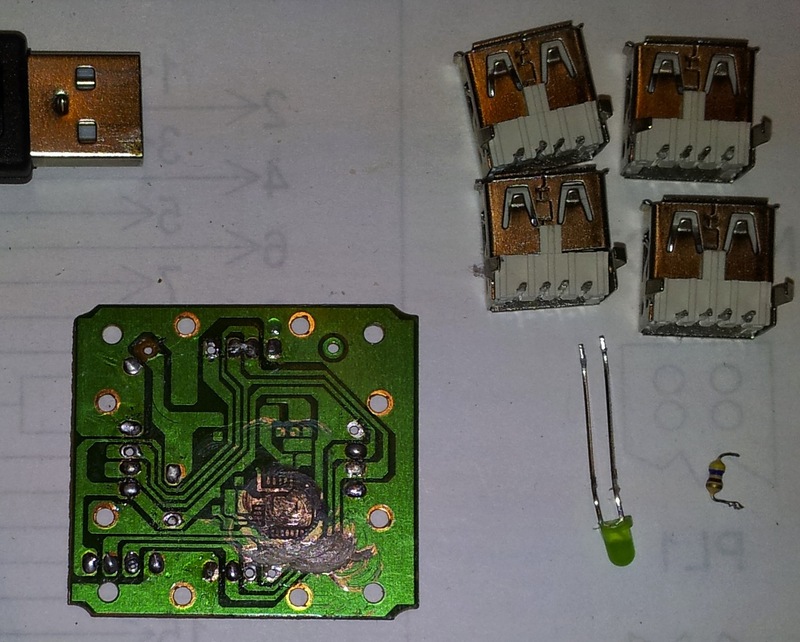 While creating an improved Icom CI-V Interface I acquired a 4-port USB hub for internal interconnections from Dave Mills (G7UVW) which he bought from a cheap store in the UK; something like PoundShop(tm) or 99pStores(tm) or PoundLand(tm) or similar. 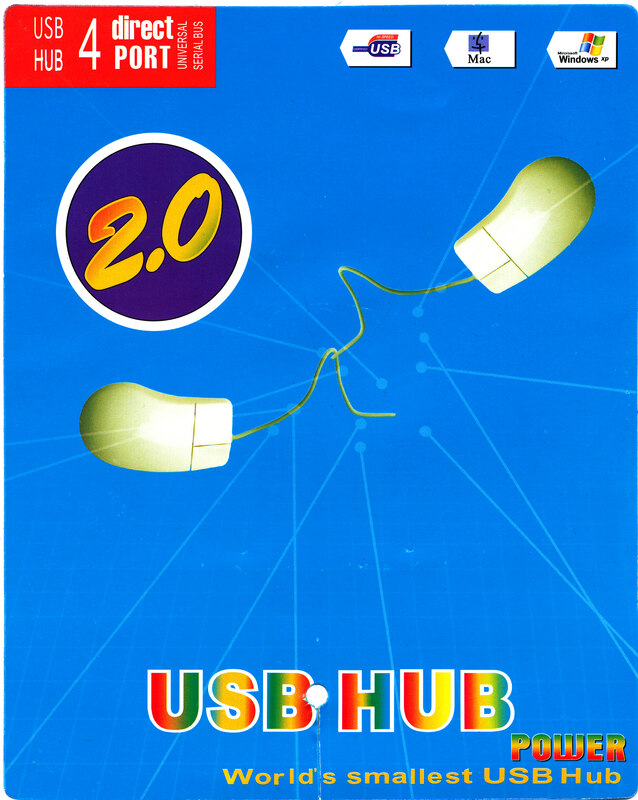 The USB hub, marketed as a “2.0 USB Hub” failed to support more than 1 device when tested. Upon further inspection, it become clear that the device has just 4 ports connected in parallel – not how USB hubs are supposed to work. 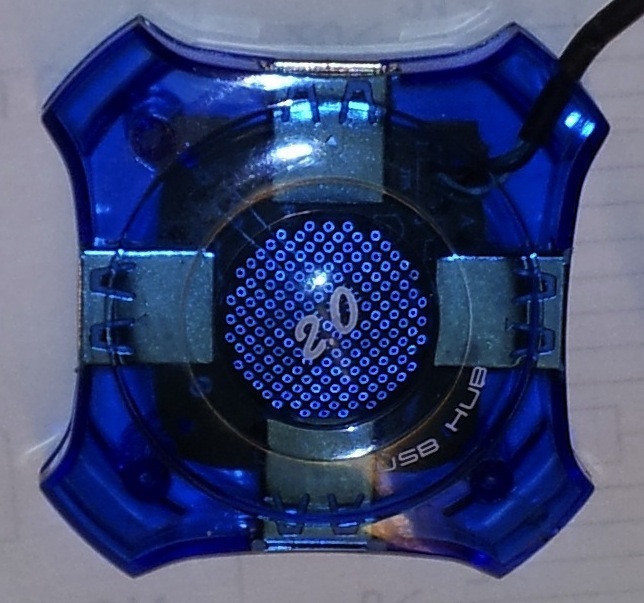 This device is not a USB Hub. The hardware could never be a USB Hub. It will never function as a hub. The rest of this page details exactly how and why that is! 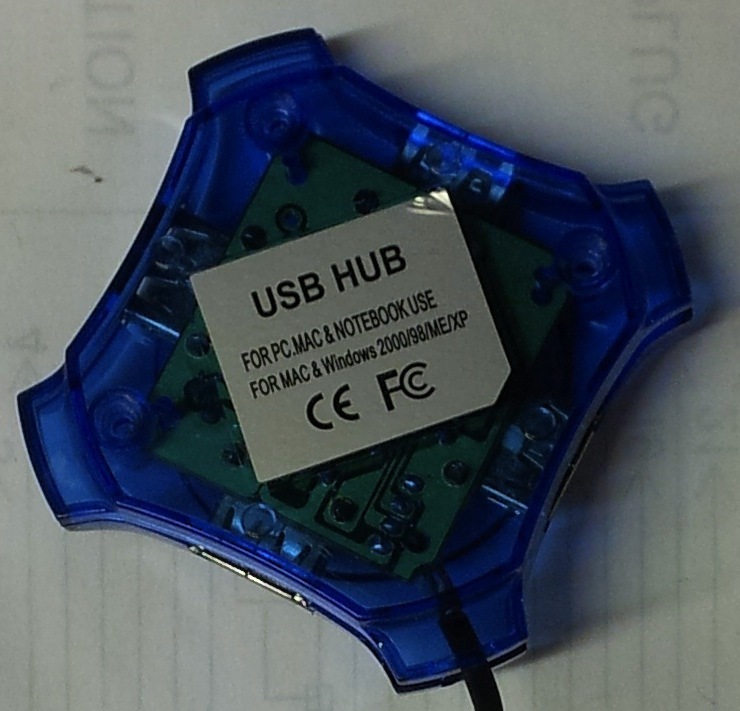 These two images show the packaging of the CCY-01 USB 2.0 Hub. Click an image to see image details; you can see a high-resolution image via a link on the details page. 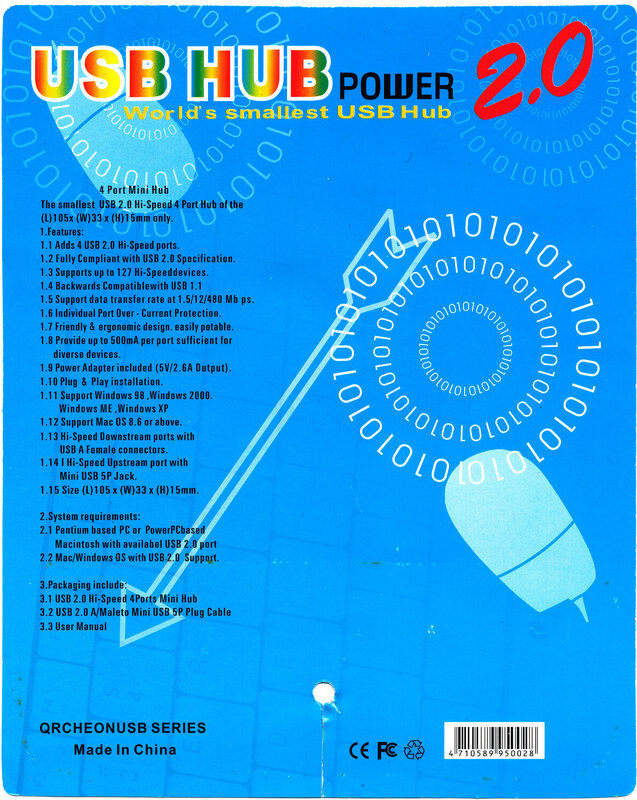 This image shows the back of the PCB. 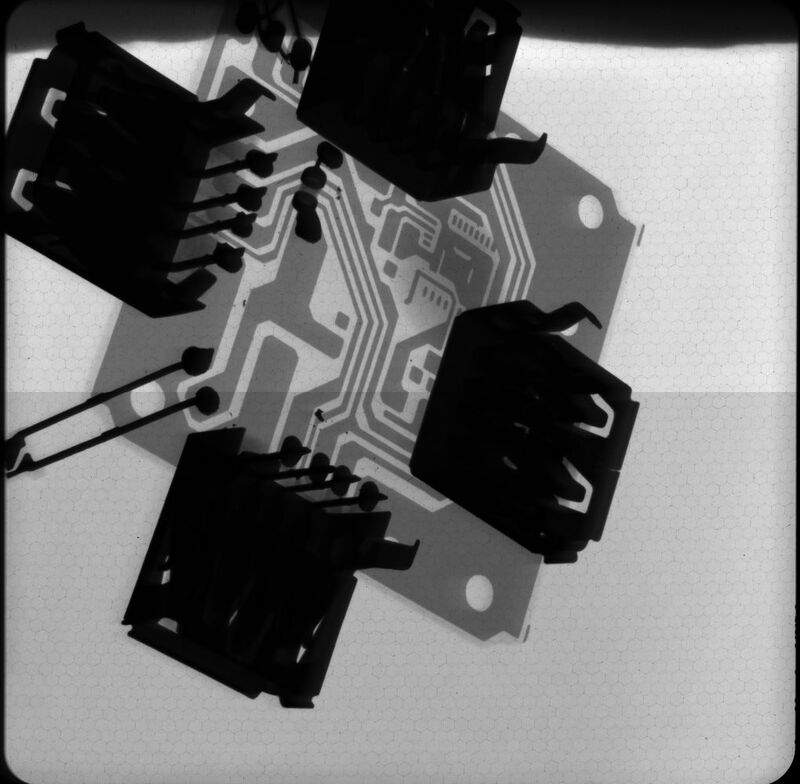 You can clearly see the USB sockets are all connected in parallel and only 2 wires go under the epoxy to the chip – Images and X-Rays later show there to be no IC but at the time I didn’t know this. However, connecting these sockets in parallel is not now USB hubs are made; and explains why this did not perform as such. 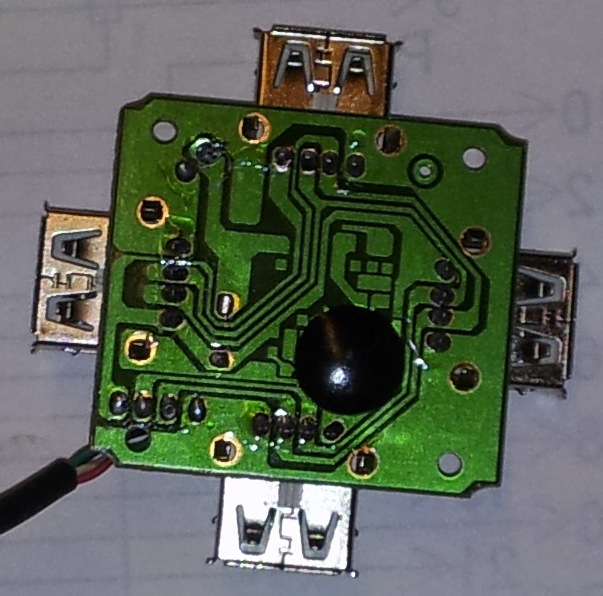 These two images show the de-constructed CCY-01 USB Hub. 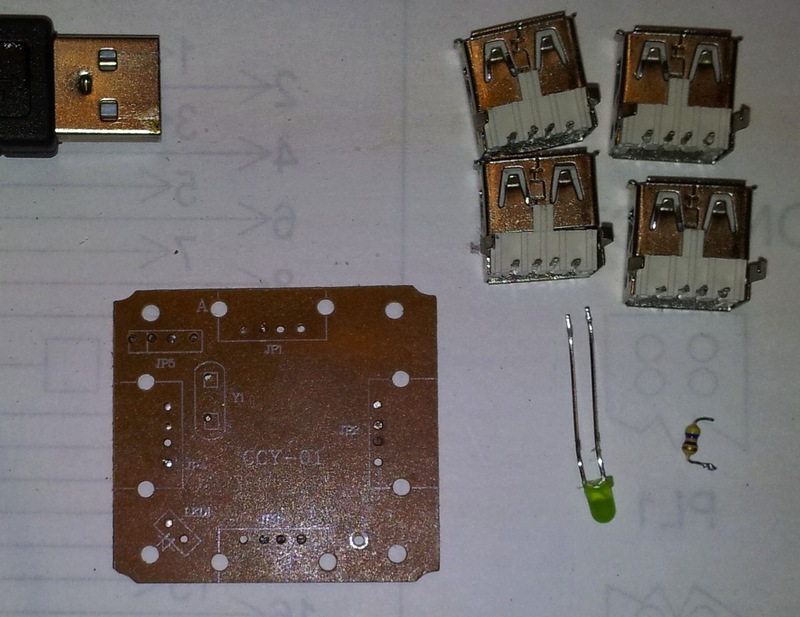 This was every part that was included: 4-sockets, 1-LED, 1-Resistor, 1-PCB, 1-USB Cable. 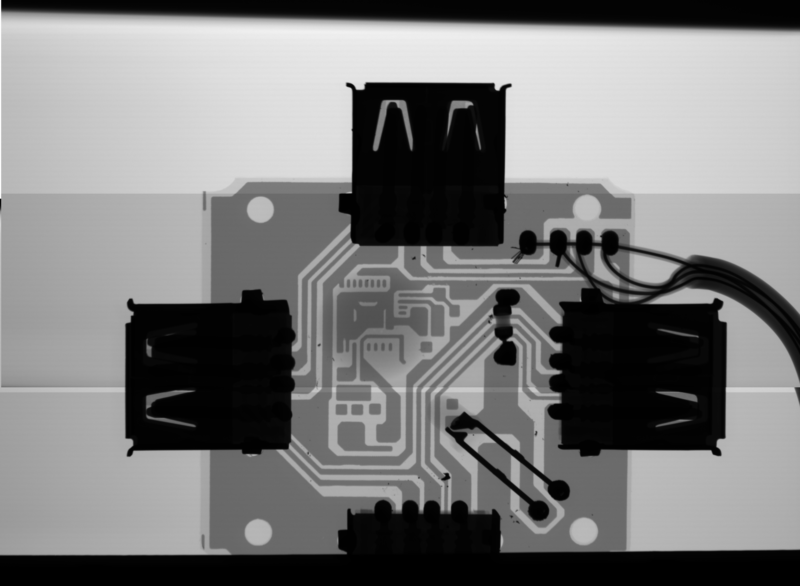 The right image (of the back of the PCB) shows the supposed IC (under the epoxy (black dot) in the image above). 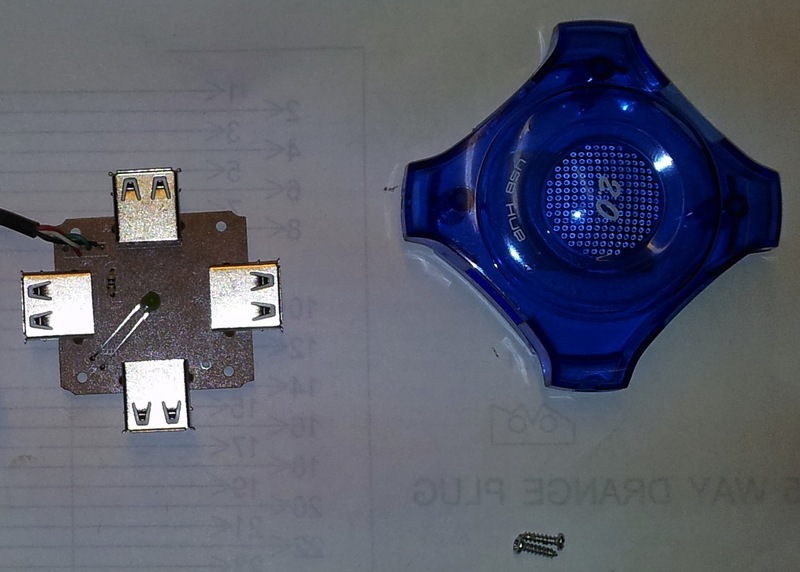 It has been ground off to expose any IC that may have existed – No such chip did exist – the result is a slightly chewed up board (it went through a milling machine, after all) with no evidence of their have ever existed an IC. In a more professional undertaking, Dave took X-Rays of the board showing there was indeed no IC present. His results confirm mine in that under the epoxy exists a few etchings looking like footprints for an IC, none of the wires out of the epoxy actually connect to anything. Thanks to Dr David Mills, G7UVW for supplying the two images of the packaging insert (the first two) images and the X-Ray (last) image.